At just under 10″ wide, the Bezzera BZ07 is as elegant in its form as it is robust in function. A heat exchange espresso machine with volumetric shot control wrapped in AISI 304 polished stainless steel, the BZ07 impresses with little difficulty. Bezzera's BZ line of espresso machines distinguishes itself with its unique group head. Eschewing the use of thermosiphon heating found in E61 groups, the BZ07 uses two dedicated heating elements and a thermostat to monitor the temperature of both the group head and the boiler to ensure temperature stability from start to finish. This particular model of the BZ07, the DE also features a dual manometer constantly displays both boiler pressure and brew pressure. This particular model is also equipped with volumetric controls for programmable espresso brewing. 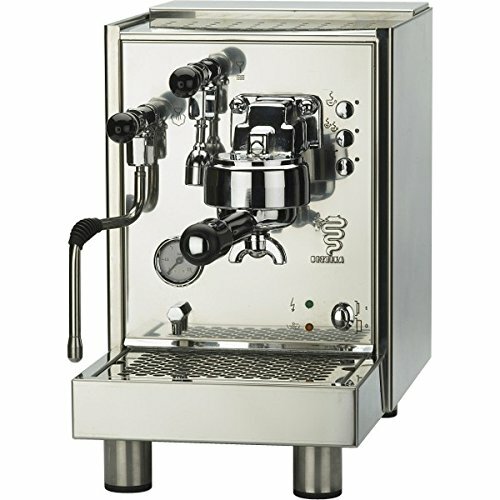 Located on the front of the machine, there are three buttons for pulling single, double, and manual shots of espresso. The single and double shot buttons can both be programmed with specific drink volumes, allowing you to brew your preferred beverage with just one push. Brewing is handled in combination by the vibration pump and 1.5 liter nickel-plated copper boiler with brass end plates. The boiler has been plated using the Nistla process, an electrolytic method of applying metal plating that meets NSF food safety standards. 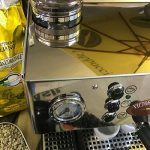 The boiler also features a heat exchanger, allowing you to brew and steam at the same time, and up to 20 oz of steam can be produced in one session with a recovery time of only 40 seconds. There are three brew buttons located on the front of the machine for single, double, and manual shot brewing. The single and double shot buttons can both be programmed to dispense your preferred volume of espresso. The manual button serves the dual purpose of pulling manually controlled shots as well as programming the volumes of the other buttons. The BZ07’s group head is a specialized and electrically heated group head designed for maximum temperature stability. The group head is heated by two dedicated heating elements and controlled by a thermostat. The dual elements help to provide even heating to the group head to aid in maintaining temperature stability. Beautiful and durable, the BZ07 is housed in AISI 304 commercial grade polished stainless steel with traditional Italian styling.